It's Thrifty Thursday at Scrapper's Delight. This mean there are some specially selected images that are available for $1.00 each. 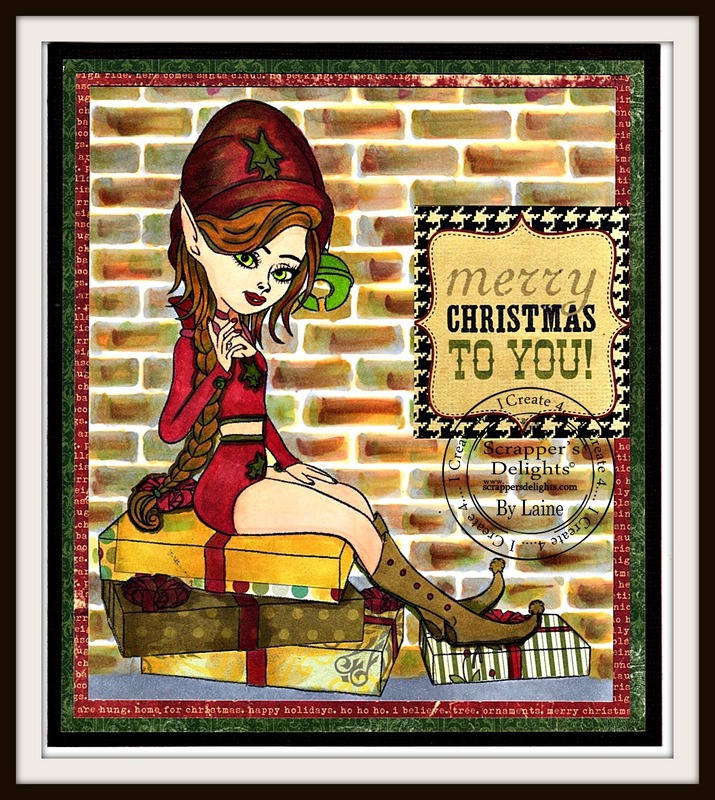 I am also sharing my DT card using an image from Scrapper's Delight called "Santa's Little Helper." She was fun to color and I loved making the brick wall behind her. This time I used Copics to color the brick background. I have finally started using my stencils more and want my stencil collection to keep growing. LOL!! I also did a lot of paper-piecing on this project. 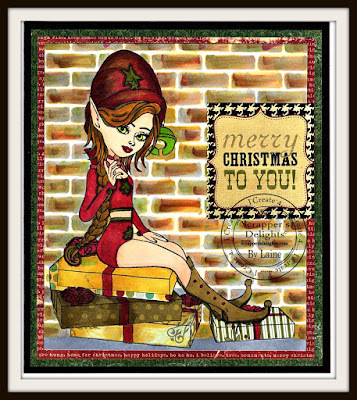 I paper-pieced her boots, all the presents and her hat. I also added more dimension using Copics on those too. I hope you will join in our challenge and the link is listed above. You can't also check out the Thrifty Thursday images at the Scrapper's Store. That link is also listed above. There are some great images at a great savings my sweet friends. Thanks so much for stopping by and I always appreciate your taking time to leave a comment. I will be adding the Copic colors I used on my card as soon as I find it. I don't know why it's always hard for me to keep track of those lists.